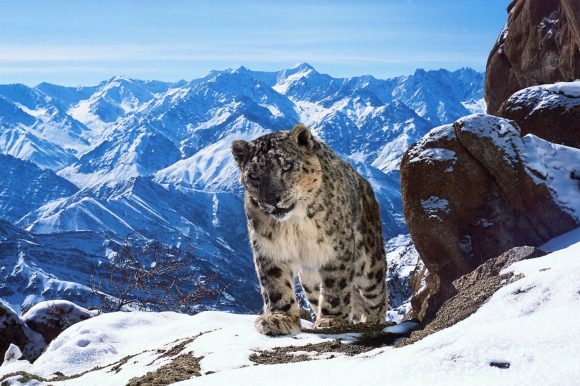 Prime will premiere arguably the year’s most anticipated free-to-air event, Planet Earth II, eight months after it dazzled viewers and critics in the UK. The benchmark wildlife series — the first the BBC has filmed in 4K and apparently the world’s most watched — will screen 7.30 Sundays from July 9, ahead of another long-delayed debut, season 24 of Top Gear. The scheduling means Roadshow Entertainment can now release the Blu-ray and 4K-UHD Blu-ray of the seven-part series in late August or early September — months after it has gone on sale around the rest of the world. Prime’s deliberately delayed Planet Earth II’s rollout so it can maximise ratings, with mid-winter being when viewership peaks. That’s why it’s also chosen to team it with another high-profile series, Top Gear, and launch the same week new seasons of Poldark (8.30 Tuesday) and, for the first time in HD, QI ((9.50 Tuesday). Also returning that week will be Robot Wars, in a new 7.30 Friday slot, while screening ahead of The Best of Piha Rescue from July 12 will be 7.30 Wednesday newcomer, Border Security: America’s Front Line, a US version of our own Border Security hit that’s into its fourth season. Prime’s strategic approach with Planet Earth II is understandable given the hefty licensing fee BBC Worldwide would have exacted from it. But in an era when most event TV series screen here within days or weeks of their US or UK broadcasts, programmers who delay their NZ launch for their own expedient scheduling risk having their appeal gutted by YouTube clips, backdoor streaming or widespread news coverage. Personally, having waited so long to see this series I will forego its Prime run and wait a few more weeks for the superior Blu-ray presentation — something I wouldn’t have done had Prime aired it months ahead of the home video release.